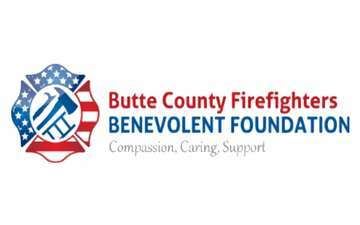 Come out to our annual community crab feed, the primary fundraiser for the Butte County Firefighters Benevolent Foundation. This is an all-you-can-eat crab feed, featuring delicious fresh cracked crab, salad, bread, baked potato, and dessert. There will be beer and wine available for a small donation. Our raffle and silent auction items are always a hit. Our crab feed will be held on Saturday, January 23rd, at the Silver Dollar Fairgrounds, in Chico, California. Doors open at 6 PM, dinner served at 7 PM. Music and dancing following dinner. We are honored to have the Cal Fire Firefighters Honor Guard open our event. We support the community and the emergency services personnel in Butte County. Please come out and support us so that we can support your community. If you are part of a group please email your name(s) AND your group name to us by clicking on the link above labeled "Contact Event Host"?. Please use a common name for your group (one that everyone in your group knows) so that we can easily identify where you would like to sit. Groups may customize their tables between 9 am and 12 pm on the day of the event.